One of the local legends tells us that St Frideswide, fleeing from the unwanted attentions of a Mercian prince in the late 7th century came to Frilsham and concealed herself as a swineherd. It is even suggested that her pig sty is on the site of the current church near the River Pang and Frilsham Manor (slightly outside the village at the bottom of hill). It is said that when St Fridewide's pursuer eventually caught up with her, she prayed for deliverance and the prince's eyes popped out! She miraculously restored them with water from the well upon a promise that she would thenceforth be left alone. Frideswide was a princess herself and her father gave the land to found a nunnery on the site of what is now Oxford Cathedral. She is still revered as the Patron Saint of Oxford. 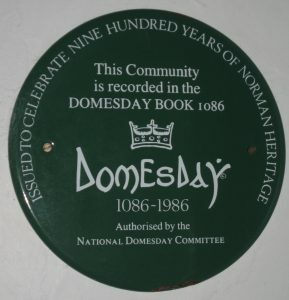 Communities recorded in the Domesday Book are entitled to display a plaque (authorised by the National Domesday Committee). 1986 marked 900 years since the Domesday Book was compiled - our plaque is located in the Church porch. 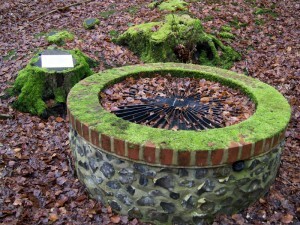 Frilsham was recorded as a small village with a watermill with 19 households described as 5 villagers, 11 smallholders and 3 slaves. (Source: opendomesday.org). Frilsham resident and local historian, Dorcas Ward, has written a History of Frilsham which was published in The Broadsheet in instalments between October 2012 and December 2015.